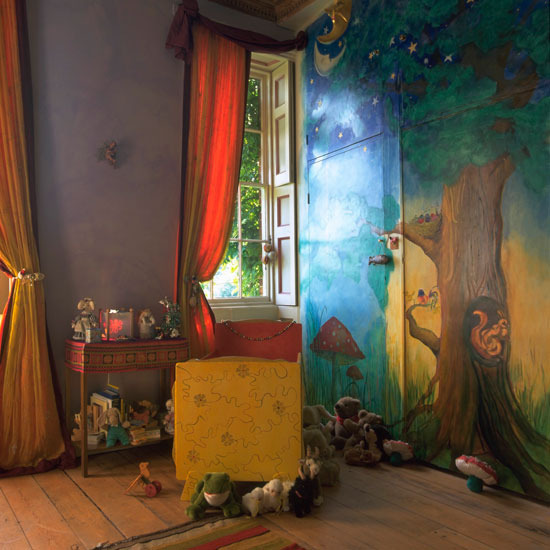 Kids room of the week this week is a fairy tale inspired space full of color and love. Use of vintage toys and painted walls comes together beautifully. Image via Home Klondike.